Swim in οur indoor and outdoor pool, get a massage, dine by the sea, lounge in the Piano bar, and buy your favorite local products. 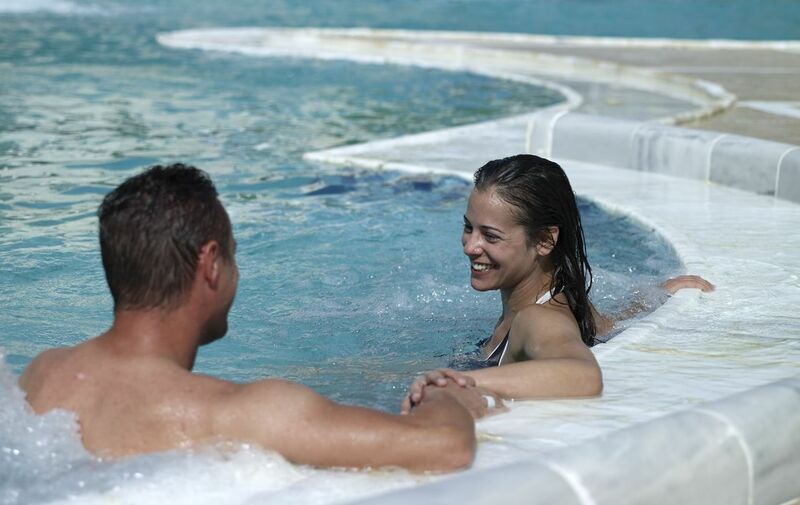 Thermae Sylla offers a variety of facilities and services to discover, from food and beverage options to a myriad of accommodation choices and spa treatments. Sit back, relax, and enjoy the road to wellness! Part of feeling good and revitalized includes being active. There a pleasantly spacious and private gym that is comfortable to work out in and offers all the equipment you need. Sit back, relax and enjoy the view of the Eubean Gulf on this private deck. Dip into these clean waters which also boast therapeutic properties, as the warm spring water is natural released from the ground and into the sea. Our little boutique onsite offers a variety of gifts, swimwear, traditional handicrafts and gourmet products from the region.